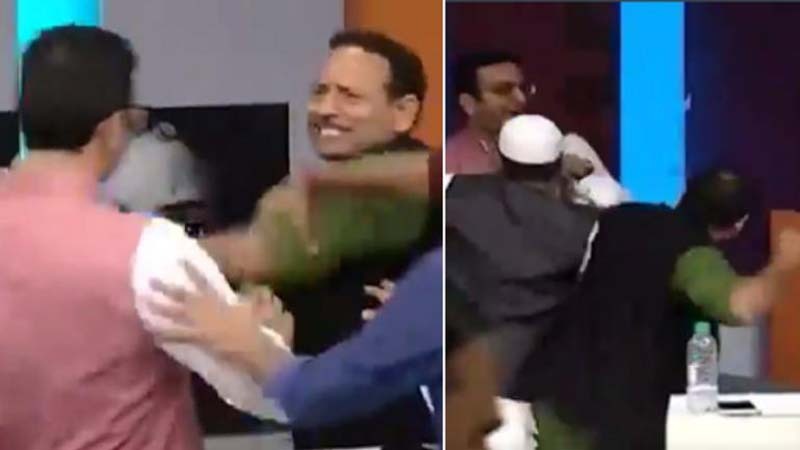 Ugly scenes were witnessed on a live show at a private news channel when spokesperson of the Samajwadi Party Anurag Bhadoria and his BJP counterpart Gaurav Bhatia entered into a scuffle and manhandled each other. As the matter escalated on the sets, police were called in. SP's Anurag Bhadoria was later taken into police custody, while Bhatia posted a video of the entire incident on this Twitter account. In the video posted by Bhatia on his Twitter account, one can see Bhadoria and he in a heated verbal exchange. As the altercation escalated, Bhadoria aggressively pushed Bhatia and tried to lash on him. However, people on the sets were quick enough to prevent him from doing so. In return, BJP's Bhatia too is seen trying to attack Bhadoria as some people try to form a human shield between the two. The 17 second video ends with the two leaders trying to beat each other. It is not clear what exactly led to this scuffle and who started it. 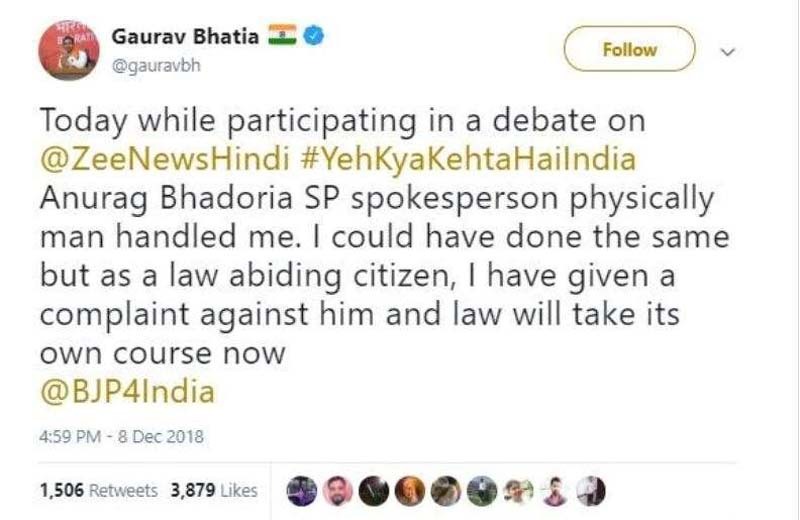 Writing about the incident on Twitter, Bhatia claimed that it was Bhadoria who started the scuffle and manhandled him. He claimed that he did not respond in equal measures as he is a "law abiding citizen". "I have given a complaint against him and law will take its own course," he wrote. 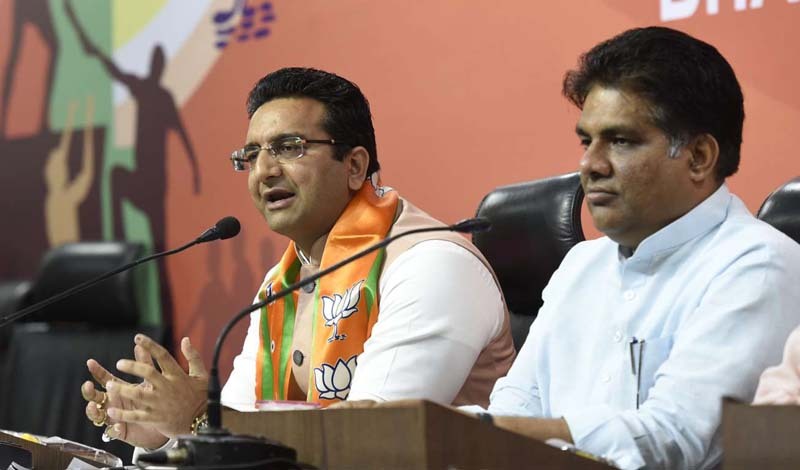 Senior Superintendent of Police Ajay Pal Sharma said the two leaders scuffled during the debate at a news channel based in Noida's Sector 16-A, following which the BJP spokesperson lodged a complaint at the Sector 20 police station. The police officer said that Bhadoria was detained. Police have also asked the news channel to submit the video clip of the incident. After being taken out of the news channel's office, Bhadoria was taken to the Sector 20 police station in Noida. However, workers of the Samajwadi Party reached the police station and gathered there. Following this, Bhadoria was taken by the Expressway police station in Noida. 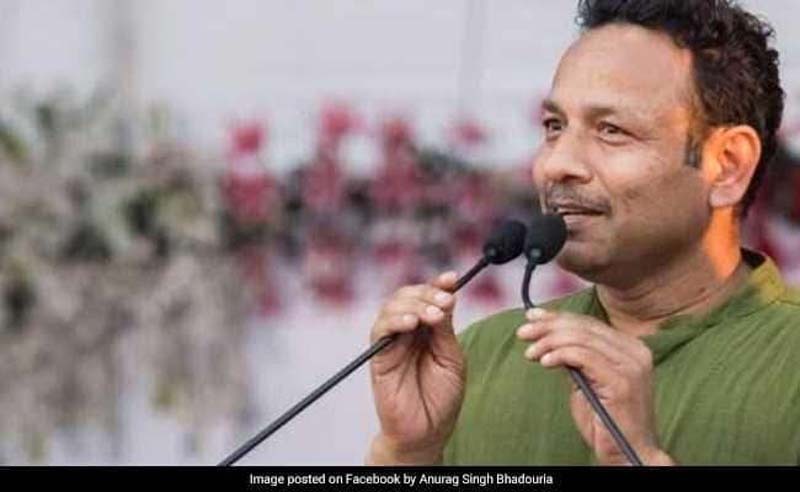 Meanwhile, Samajwadi Party MP Surendra Singh Nagar, who also reached the police station, alleged that Bhadoria was manhandled by BJP's Gaurav Bhatia.